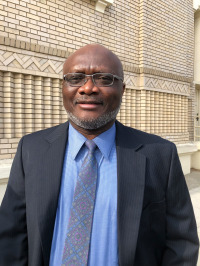 Joseph Akpovi is a Logistics and Supply Chain Management Instructor at Modesto Junior College. He is a Certified Supply Chain Professional (CSCP) and a Certified in Logistics, Transportation and Distribution (CLTD) with 22 years of industry experience with Bank of Africa-Benin, E. & J. Gallo Winery, and Del Monte Foods. His experience in operations covers areas such as operations planning and control, forecasting, warehouse operations and inventory control. He received his Master’s in Business Administration from California State University, Stanislaus where he has been teaching undergraduate and graduate Operations Management courses as an adjunct instructor since 2003. Joseph is a fluent French speaker and an avid international traveler.